It was fascinating to see twins Malatesh and Mallesh walk in to the Mphasis Gurukul on their first day. The two not just looked alike, but also had the same inquisitiveness in their eyes, absorbing the new atmosphere and finally getting a chance to leave their hardships behind. The twins were born in Haveri, Karnataka. Their father was a coolie, earning on a daily basis and mother a homemaker. They were delighted to have two boys but were overwhelmed with the extra spendings the birth of twins brought to the family. For a poor man with hardly any sustained source of income, raising Malatesh and Mallesh was like a double blow. The twins soon realised they needed to support their parents. They left school at the age of 11 and began working in a bakery, spending all day baking breads and biscuits when they should have gone to school. For the next 7 years, they worked in the same bakery for a salary of Rs. 4000 each. They never realised that it was possible to earn much more or get an education that helped them escape their situation. 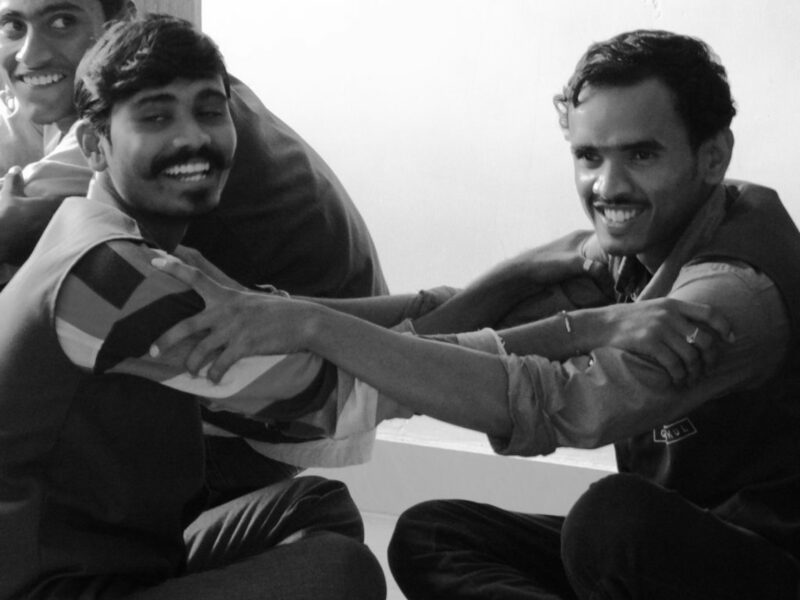 Malatesh and Mallesh came to know about the Mphasis Gurukul from our community mobilisation team. Their parents realised this was the chance to give their sons a better life and agreed to send them to The/Nudge’s Gurukul. It was challenging initially to be in an atmosphere of constant learning, but Malatesh and Mallesh soon found their calling. Sailing through driving lessons, the two were equally drawn to the lessons that helped them understand how to save for their future, get into the habit of saving for their future, improve health & hygiene and plan for their career. The twins got a job soon after the graduation as drivers with DriveU. From once earning Rs. 4000 per month, the two now earn Rs. 15,000 a month! Needless to say, Gurukul has completely transformed their lives!  Archived in Student Success Stories and tagged Education, Gurukul, Malatesh, Mallesh, Mphasis, ngo, nonprofit, Poverty, youth. Bookmark the permalink.